James Hammerstein (1931-1999) director and producer, co-produced the currently long-running international Off-Broadway musical, I LOVE YOU, YOU'RE PERFECT, NOW CHANGE, and the recent Off-Broadway hit, OVER THE RIVER AND THROUGH THE WOODS. Hammerstein directed New York productions of WISE CHILD, BUTLEY and THE REAR COLUMN by Simon Gray, TEA PARTY and THE BASEMENT by Harold Pinter (also in London), THE INDIAN WANTS THE BRONX and LINE by Israel Horovitz. 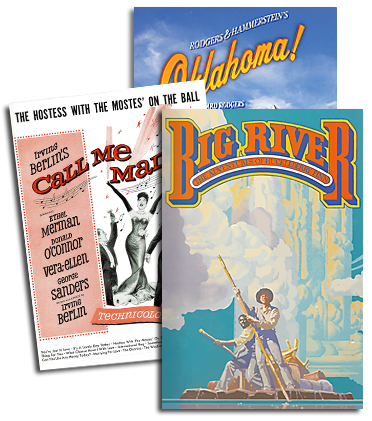 His musical credits included the hit revue TUSCALOOSA'S CALLING ME...BUT I'M NOT GOING!, DAMN YANKEES (in London), MY FAIR LADY and, of the musicals his father Oscar Hammerstein II wrote with Richard Rodgers: OKLAHOMA! (presented by Cameron Mackintosh in London and Australia), THE SOUND OF MUSIC starring Debby Boone at the New York City Opera, THE KING AND I (Tel Aviv; 1989 U.S. tour starring Stacey Keach; 1991 U.K. tour and London engagement starring Susan Hampshire), and several productions of CAROUSEL, SOUTH PACIFIC and FLOWER DRUM SONG. He directed a national tour of THE SOUND OF MUSIC starring Marie Osmond, and he co-directed the "newest" Rodgers & Hammerstein musical -- the stage premiere of their film musical STATE FAIR. His regional theatre credits included THE ROSE TATTOO, MERTON OF THE MOVIES and ALFRED THE GREAT. He adapted and directed HUCKLEBERRY FINN for Seattle Repertory, and served as lyricist and co-author for ADVENTURES IN THE SKIN TRADE at the Long Wharf Theatre. He spent nine years as Director in Residence at the Eugene O'Neill Theater Festival, was a member and past President of the Society of Stage Directors and Choreographers, and the Chairman of the Board of Directors for Ensemble Studio Theatre.